This week, three diverse groups of people—core developers of the EPICS toolkit, of the Control System Studio visualization software, and of the areaDetector 2D image processing framework—are meeting at ITER Headquarters for three days of discussion and lively debate. The ITER CODAC (Control, Data Access and Communication) system can be thought of as the brain and central nervous system of ITER. It physically connects all plant systems using computer networks and makes sure they speak the same language. EPICS—the Experimental Physics and Industrial Control System—is the open-source software used as an underlying basis. EPICS is the software backbone of the CODAC control system. It comprises a set of tools, network protocols and hardware drivers centred around a highly flexible distributed database of process variables. 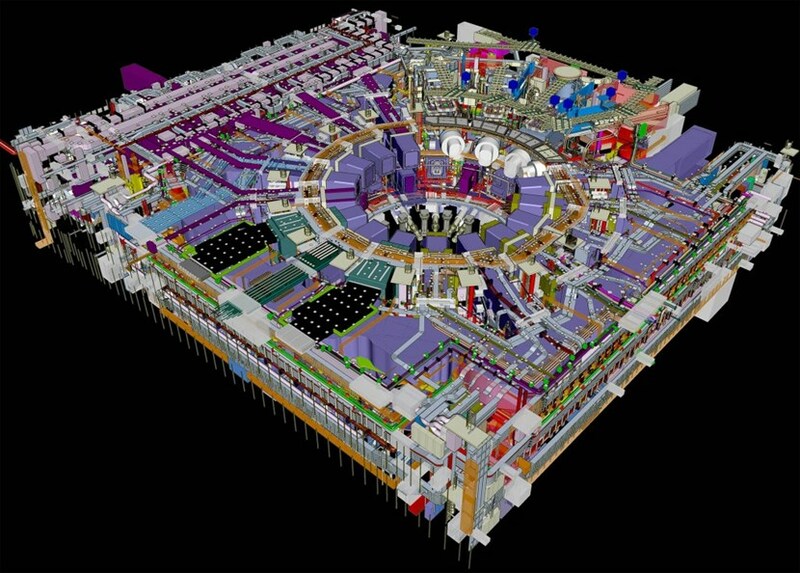 This will provide the glue to adapt, fit and hold together ITER's nearly 200 plant systems, forming a single integrated control system running the ITER Tokamak. Control System Studio (CS-Studio) will power ITER's dashboard, what we call the visualization layer—panels, graphs, sliders, symbols, metres and switches on the operator consoles in the ITER control room. It also runs important central services for alarm management and logging, as well as the non-scientific archiving and the electronic logbook. areaDetector is a modular Lego-style system of software "bricks" to build EPICS controlled image acquisition and processing systems. It integrates cameras and other two-dimensional detectors—from still image cameras to megapixel detectors—delivering more than 100 images per second, adding a flexible set of filtering, streaming and analysis functions. All three efforts are free and open-source software projects, developed collaboratively over many years by control system engineers from laboratories and institutes around the world. And as in all collaborations, even the newest communication technology won't cover everything; some issues and ideas can only be efficiently discussed and resolved sitting around a table. And so, the core developers groups meet twice a year, hosted by one of their institutes, to argue about and review proposed changes, discuss and plan their releases, develop ideas and toss them apart. Similar to the projects that communicate and overlap, the developers meet separately—but in parallel and at one site—to allow for ad-hoc shared sessions on interfaces and other topics they share interest in. This week, ITER hosts 16 external visitors from Germany, Great Britain, Sweden, Switzerland and the United States; each group will be joined by a few more remote developers. The CS-Studio group will dedicate some of their time to a code-a-thon, a sprint coding session to deal with existing issues and work on short-term objectives in an agile style, with instant peer reviews. "For ITER, the focus will be on the functions required for the temporary control rooms, such as the logging of operator actions, support for multiple-screen operator terminals and the extension of the logbook to accept entries in different formats," says Nadine Utzel, who will represent the CODAC team in the CS-Studio meeting. The big EPICS topic this time: the existing software release, version 3, is about to be merged with a set of newer developments including a new network protocol, dubbed version 4, to form the next major version, EPICS 7. This requires lots of coordination between the groups to ensure that things continue to play well together. Time is already running short for the intended release later this fall, just in time to be included in the next CODAC Core System release 6.0. "These meetings are very intense and efficient," explains Ralph Lange, an EPICS developer and CODAC team member, who organizes this week's meetings. "Giving a team a few days of complete immersion and focus with little disturbance from the home institute always creates a big push forward." A push that he hopes will help EPICS 7 to get ready in time.